After receiving a bachelor’s in Interior Design from Michigan State University, Danae discovered her passion for Architectural Hand Renderings. After three years of work experience in the commercial design industry, she relocated to Saint Louis which was a perfect time to launch Danae Designs LLC and exclusively offer Architectural Hand Renderings. Renderings can be used as a tool to illustrate a design when words fall short. Any style home can be featured in a Watercolor Home Portrait and can capture lasting memories to be enjoyed by family, friends or favorite clients. 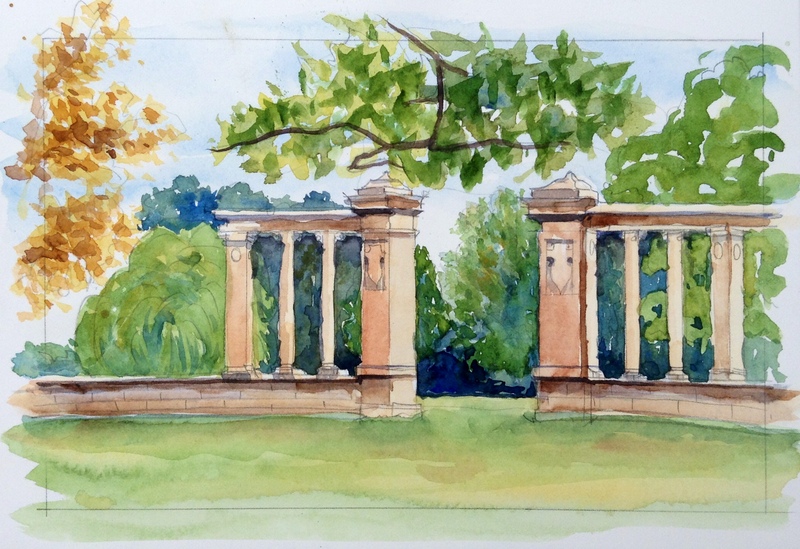 Leveraging her skills with watercolor, Danae enjoys Plein Air painting in her spare time and has entered numerous local Plein Air competitions. Painting for herself in between client projects allows her to continue to fine tune her craft and expand her horizons all while pursuing her passion. Please feel free to call Danae Designs LLC for a quote.